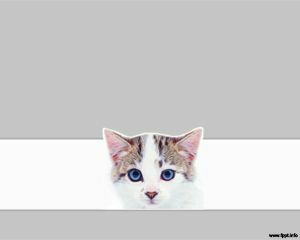 Free cat PPT template shows how to exercise your cat, how to make them friendly, in addition to what bothers them, how they should be socialized, and how to clean your cat. Free PPT background comes in handy when demonstrating your kids about how to take care of cat. 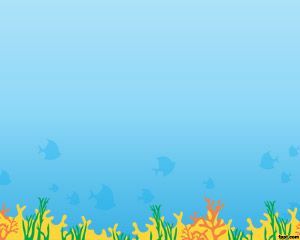 Detailed description of what to feed the pet can be included into the slides. 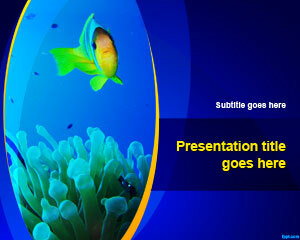 Help socialize other pets with themes, such as free animal print frame PPT slide, and cats background PPT theme. 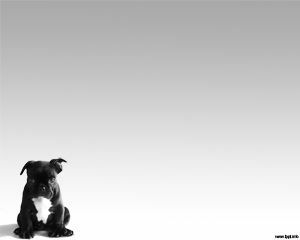 Demonstrate natural remedies that not only keep your pet safe, but also socializes them in such a way that they do not invade your personal space. Pets should be handled with care, and no one likes to force their cat to get out of the house or workspace. 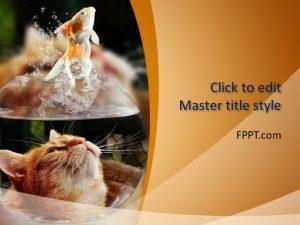 Cat PPT slides are useful in making instructional slides regarding how to take care of the furry creature. 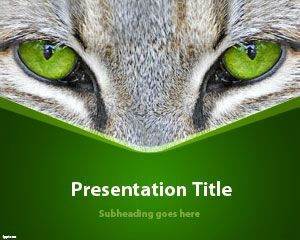 The face of a cat, with eyes looking towards the audience is the front slide of cat PPT background. Captivate the attention of those who have a cat, and want to know how to take care of it. 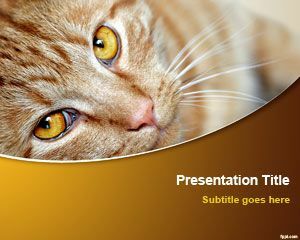 This presentation can be used to outline various cat breeds, and the specialty of each one of them.